Adafruit Motor/Stepper/Servo Shield for the Arduino. 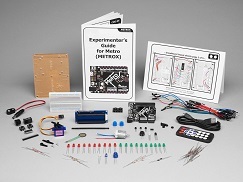 This kit includes all the pieces needed to complete over 20 different circuit and projects. Basically everything you need to be playing within minutes of its arrival. No soldering required, works with Mac, Windows and Linux! 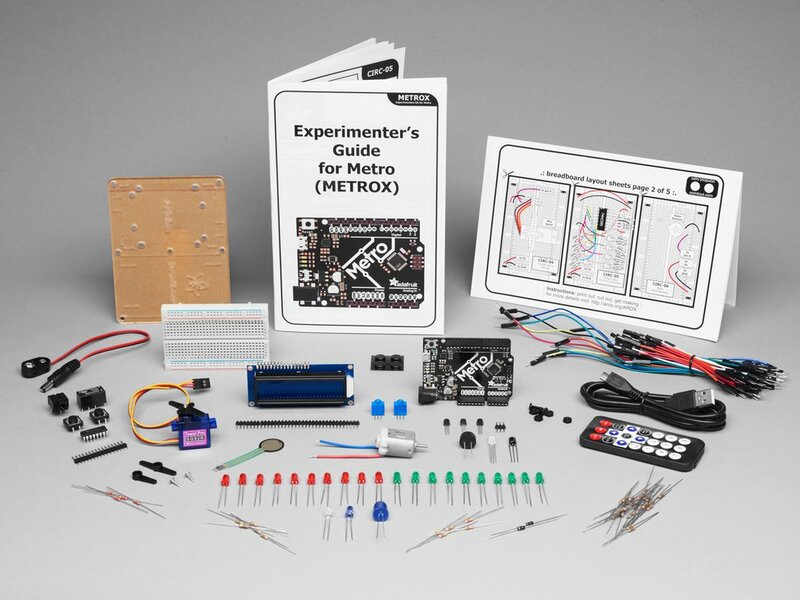 This pack includes the Adafruit Metro (Arduino compatible) controller. At the heart is an ATmega328P, with 32KB of flash and 2KB of RAM, running at 16 MHz. It is fully compatible with the Arduino IDE.